When we were young and visiting our Grandmother’s house, we knew that we couldn’t fight. 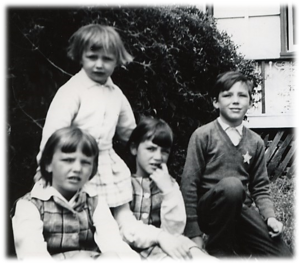 My little sister was only a baby so the remaining five of us were on our best behaviour. Why? Because as soon as a fight broke out, Grandma would come at us brandishing a spoon and bottle of cod liver oil. She said we were ‘bound up’ that’s why we were irritable! In time, we’ve all moved on from those old remedies…. thank heavens! On 26th October 2015, the BBC ran a report showing that the world Health Organisation (WHO) had issued a cancer warning caused from processed meat – particularly smoked bacon and cured ham. [a] And so, with an untold number of chemicals being ingested daily – or absorbed through our largest organ, the skin – there’s little wonder that we’re tired, tense, bound-up or sick. In recent years, a close friend of ours was a sort of health expert. As a couple, they were committed to avoiding toxins and chemicals where at all possible. Their 32 acre property in Australia had wide lawns that spread down to a private dam, which was used for watering their fruit trees and vegetable plot. If we got sunburnt while tanning in Australia, we’d just pop over to their house and get a fresh slice from their Aloe Vera plant. They had bee hives for fresh honey instead of sugar. They even grew expensive fruit from Japan that I’ve forgotten the name of. And, as sales reps for an American Health Supplement product, they knew all the background information that the average person wouldn’t know – even about the supermarket carrots that we think are healthy. With all that said, though, when our friend visited her doctor with a persistent stomach pain in early 2009, she was diagnosed with late stage intestinal cancer. They sent her home with pain relief and she was gone within six weeks. While I didn’t use my Grandma’s method for stopping fights when our kids were small, and I’m not as committed and consistent as my friends in Australia had been, I do take multivitamins and minerals semi-regularly. Using aromatherapy recipes, I also make up my own home-made hand and face products with natural aromatic oils. If I had holiday money to spend on anything I wanted, I think I’d take one of those 2-week holidays to a “fat farm” where there’s healthy food, exercise classes and hot spa/relaxation and detox treatments! 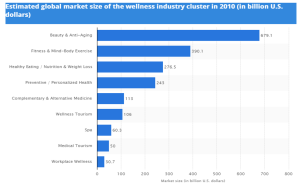 Today, the global wellness industry statistics puts our spending at well over a trillion US$ every year. In 2010 alone, US$276 billion was spent on health food/supplements and diet. But, as always, the Creator God sees the wellbeing of those He made in His own image, differently. There’s a saying: “You are what you eat”. If we eat well our body should be healthy. The same is true spiritually, mentally and emotionally. We become what we put into our minds – what we allow ourselves to dwell on. I’ve seen how easy it can be for people who dwell on bad memories to become a bitter, angry and unforgiving in time. [v2-3] I’ve also noticed that if I’m unsatisfied with where I am physically, I’ll do something significant about it. This often includes making radical changes. 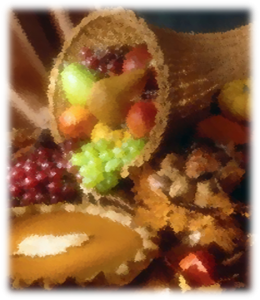 But the same should be true of what I’m feeding into my “spiritual diet” – what I’m feeding my mind with and what I’m wasting my time on.